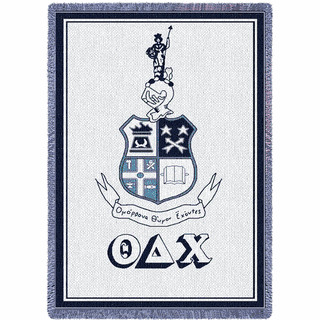 We�re proud to be the top provider of Theta Delta Chi Fraternity Gear to the gentlemen of this fine fraternity. This page is filled to the brim with every type of Theta Delt paraphernalia you could possible want from A to Z, including hoodies, shirts, d�cor, paddles and special gifts for members! 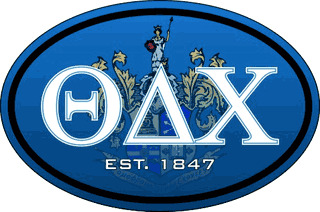 Established on October 31, 1847 at Union College in Schenectady, New York, Theta Delta Chi was created with the goal of �Improving the Intellectual, Moral, and Social Being Through Friendship.� The official fraternal colors are blue, white and black, and you�re sure to find plenty of merchandise and clothing in this section adorned with these colors! 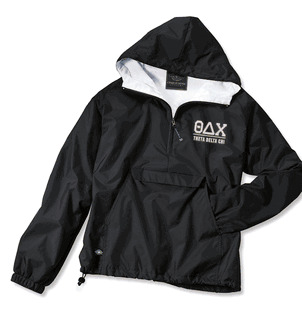 Check out the Theta Delta Chi Sweatshirts Hoodie, which is one of our top sellers. 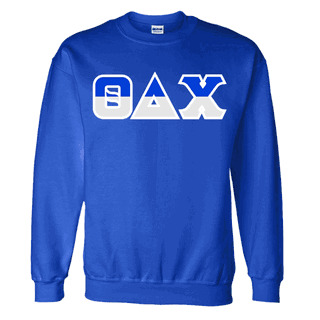 It�s made from 100% cotton sweatshirt material with twill Greek letters on the front. 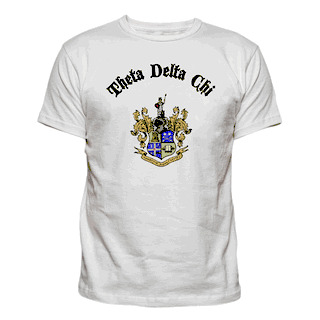 The Theta Delt Nation T-Shirt for just $10 is a Greek Gear exclusive item. 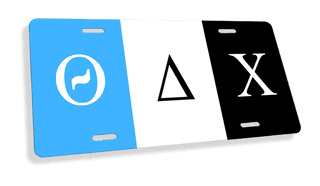 Fly the 3 x 5 Flag in front of your chapter house when you�re having a party. 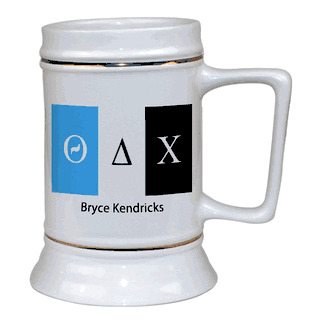 And if you�re looking for new member gifts, check out the Lil Bro and Big Bro Screen Printed T-Shirt Designs for Theta Delta Chi members. �Our hearts are united� with the distinguished members of Theta Delta Chi. We�re happy to offer you quantity discounts on some items, deals on shipping and options to rush your order to you (a rush fee may apply). Contact GreekGear.com customer service for Help (see the button above or to the side) and remember to click CTRL+D to bookmark this page for future needs! Theta Delta ChiThe Greatest Selection. Period.